Real estate buyer leads are essentially people that have expressed interest in a particular property (or any property, for that matter). The name says it all; they are leads inclined to make a purchase if the right opportunity presents itself. As such, it only stands to reason that real estate buyer leads are an essential component to any real estate investor’s strategy. Those investors capable of cultivating more quality real estate buyer leads will certainly find it a lot easier to navigate the selling process. There’s no doubt about it: real estate buyer leads have proven themselves an invaluable ally in the real estate investing landscape. That said, nobody is going to simply bring you leads, nor should you expect them to. Instead, the acquisition of buyer leads is the direct result of hard work and determination. If you hope to acquire enough quality real estate buyer leads to facilitate your next deal, I highly recommend brushing up on the latest networking strategies. Generating buyer leads is nothing, if not for an alternative for of networking, is it not? It is worth noting, however, that networking isn’t relegated to antiquated coffee meetings and get-togethers anymore; it’s taken on a whole new meaning. Let me explain. Target A Specific Audience: No lead generation strategy is complete without at least some form of direction. That said, investors networking for leads need to identify their target “audience,” namely people who are looking to buy a home. Once you have narrowed your focus, it’ll be a lot easier to generate leads. Understand Their Needs More Than Your Own: To become a truly great lead generator, you need to be able to put yourself in the shoes of your target audience. Research and determine exactly what it is your leads want. What type of house do they want? What’s their budget? Only once you know what they are looking for can you sell them a product. Show Them How You Can Help: As a real estate investor, you are first and foremost a problem solver. You are literally in the business of providing a service, and it’s in your best interest to prove to everyone else you can help them. Of course, that means figuring out what they need in the first place. Maintain Relationships: Investors looking to generate buyer leads will typically create a buyers list — a list of all the people that have expressed interest in buying at one time or another. Having said that, such a list must be nurtured; you can’t simply add some to the list and forget about them. You need to keep in touch with the leads you generate, as to foster a better relationship. In other words, once you generate a lead, you need to cultivate it. Remaining in contact with the leads you create will keep you at the front of their mind. Network: Whether you are literally talking to someone, or you’re in the middle of a direct mail campaign, generating leads can be boiled down to networking. Generating leads is as simple as fostering relationships. The stronger the bonds you build, the more likely you will find yourself with a “hot” lead. Remain Organized: Simply gathering leads isn’t enough; you need to organize them. That way, you’ll know exactly who to contact in the event you come across a deal that needs selling. Generating real estate buyer leads will require you to do a lot more than what I mentioned above, but it’s important to note that this info will dramatically help your efforts. Your Own Website: Whether you realize it or not, your own website is actually a very serviceable real estate buyer lead generator. That is, if it is set up correctly. Be sure that your site is optimized and sending people where you need them to go. Perhaps even more importantly, generate quality blog content so that your own page may rank in Google searches and direct your readers to a squeeze page. If done correctly, you can bring in leads automatically and effectively. Open Houses: Opening up the house you intend to sell is a great way to generate real estate buyer leads. 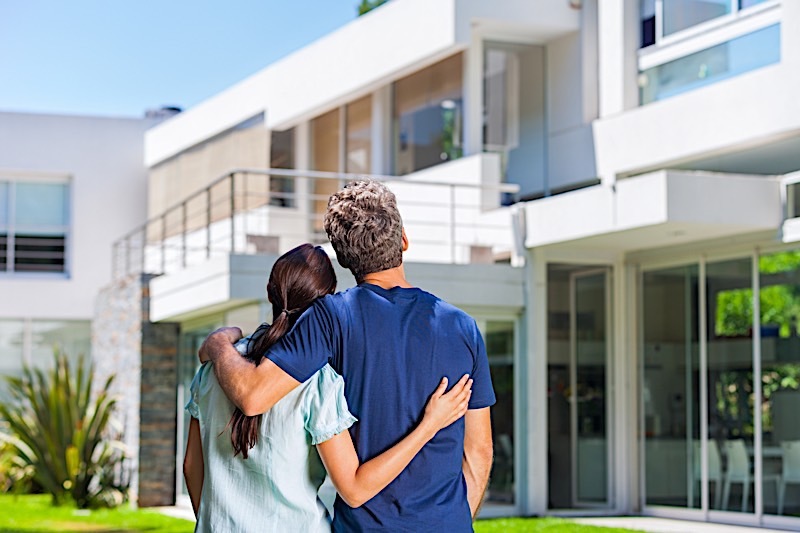 Not only is it safe to assume open house attendees are interested in the subject property, but there’s also an opportunity to get their information. That said, you need to set up a lead gathering system on the property. Host a signup desk to gather contact info, or — at the very least — pass around sheets to get the information from individual attendees. Each one represents a potential sale, so don’t let them get away without leaving you their contact information. Bandit Signs: Bandit signs are typically deployed by those looking to buy houses, but that doesn’t mean you can reverse engineer the strategy to come up with some buyer leads of your own. Bandit signs are, after all, intended to identify home sellers. That said, keep an eye out for bandit signs in your area; they may lead you right to your next sale. Network: Few strategies generate more quality buyer leads than good old fashioned networking. If for nothing else, investors are selling themselves as much as they are selling a home. It is, therefore, in their best interest to spread the word themselves. Investors need to get out there and talk to everyone they know, and even those they don’t. I want to make it abundantly clear: it’s entirely possible to pay for quality real estate leads. For example, hosting an open house can certainly bring in great leads, but it’ll cost you both time and money. Of course, the amount it costs to host an open house is certainly worth it, especially if it lands you a sale. However, not all real estate buyer leads will cost you money to generate. There are, in fact, more ways to generate real estate buyer leads without spending any money at all. Not unlike the bandit signs I mentioned above, Craigslist is a great platform to identify those looking to buy houses. It’s quite common that you’ll find investors actually vocalizing their want and ability to buy a home. It stands to reason that you may want to contact said individuals. In fact, you don’t even need to create your own post; you can simply search for subsequent buyers in your area. That said, there’s no reason not to post. Again, generating real estate buyer leads is all about networking; the more people you can make aware of your home, the better. As it turns out, Craigslist is a great vehicle to do so. It shouldn’t surprise anyone to learn that Facebook has become one of the most important marketing vehicles ever. With the single click of a button, anyone can broadcast a message to hundreds, thousands, and even hundreds of thousands of people. There is almost no limit to the exposure a truly great Facebook post can generate, so there’s no reason investors should neglect its power. If you are looking to generate real estate buyer leads, you could do a lot worse. So feel free to let everyone know your intentions. In a creative, engaging way, acknowledge you are looking for potential buyers, and let everyone know how you can assist them in their house hunting endeavors. In its truest form, generating real estate buyer leads is a refined form of networking. Those investors capable of cultivating more quality real estate buyer leads will find the scales tipping in their favor. Real estate is a numbers game, at the right leads could give investors the advantage they need to succeed.